It’s full of useful tips, offers you a glimpse into the secrets behind successful Associates, and gives your business an extra boost each month. Yes, LifeMasters is an essential part of your USANA business. And now it is once again available on CD. Whether you prefer it packaged as a downloadable file you can easily transfer to your iPod, in PDF form that you can read at your leisure, or on a shiny disk you can pop in during long drives, you can have this monthly motivation session any way you want it. Starting now, the popular disks are making their big comeback. 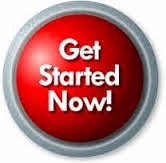 This means you can expect all of the training tracks you need downloaded on not one, but two plastic pearls of wisdom. And when you sign up for a yearly subscription, you’ll get a free copy of the latest Success Magazine. Designed to serve the growing entrepreneur, the lucrative magazine recently partnered with USANA to provide business owners with the knowledge they need to succeed. Full of educational materials, tips from successful leaders and renowned authors, and information exclusive to the direct-selling industry, Success Magazine is the perfect companion for your LifeMasters CDs. With a new topic every month—along with all the extras—this powerful tool can help you reach new levels of success in your business. Order a yearly subscription, and you’ll get advice, training, and tools from world-class athletes, some of USANA’s most successful leaders, acclaimed entertainers, best-selling authors, medical professionals, and the world’s brightest scientific minds. It’s motivation, any way you want it, for a spectacular price! Visit the shopping cart and order your LifeMasters CDs today! Please join us in recognizing a new team member and those who are helping others while building their own USANA legacies. · Opt-In to the Destination Transformation Challenge on USANA Today if you have not already done so. · Keep the link to our USANA Business Building Library handy for your reference as well as sharing with your team members. Be well and make it a great week! SALT LAKE CITY, Dec. 20, 2012 /PRNewswire/ -- It has been a year of charity for USANA Health Sciences, Inc. (NYSE: USNA). Since the inception of the USANA True Health Foundation in March, USANA, its employees, its associates and friends of the company have raised more than $3 million in monetary and Usanimals™ children's supplement donations, with $2.3 million in monies and vitamins donated to those in need this year. "The only way we are able to do so much good is through the generous donations from USANA associates and employees," said USANA True Health Foundation President Elaine Pace. "With sincere gratitude I'm pleased to report that we have surpassed our goal in donations this year. With all the help we've been able to render in eight months, we expect to exceed our donation goal for next year as well." The USANA True Health Foundation's primary partner for disaster relief is International Relief Teams (IRT). IRT is vigilant in choosing appropriate responses to emergency situations so resources can be effectively leveraged. The Foundation has donated $90,000 to relief efforts through IRT. "It's been a year racked with sudden tragedy," said USANA True Health Foundation board member David Haynes. "It gives me peace of mind to know that people can count on us to offer assistance in their time of need. Although the Foundation is new, I look forward to a long and meaningful future of making a difference around the world." Children's Hunger Fund support (CHF)—More than $2.2 million to aid in CHF's mission to improve the lives of poor children and their families through cash and Usanimals donations. The USANA True Health Foundation fundraising efforts have also made an impact. At USANA's 20th International Convention in August, the Foundation raised a total of $270,000 over the course of the three-day event. $60,000 of that donation was raised from its USANA Champions for Change 5K, where associates and residing Salt Lake residents showed up in superhero costumes and supported the Foundation's cause. 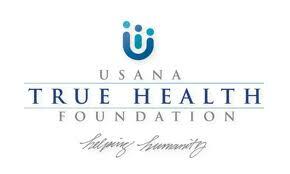 In October, the WTA made a generous donation of $25,000 to the USANA True Health Foundation. USANA and the Women's Tennis Association (WTA) have been longstanding and loyal partners since 2006. The USANA True Health Foundation has three categories to which anyone can donate: Area of Greatest Need: Immediate Help, Children's Hunger Fund and Sanoviv Medical Assistance. For more information about the USANA True Health Foundation or to find out how you can donate, please visit USANAfoundation.org. In a recent study of adults with muscle pain and weakness related to intake of statin drugs, CoQ10 supplementation for six months significantly improved muscle strength and reduced muscle pain. Statin drugs are commonly prescribed for people at high risk of developing heart disease, and are known to significantly reduce cardiovascular disease (CVD) mortality in people with preexisting CVD. Unfortunately, one of the side effects of statins is myopathy, a wasting of muscle that causes weakness and in rare cases, kidney failure. Since statins reduce the production not only of cholesterol but also of CoEnzyme Q10 (CoQ10), it is thought that statin myopathy may result from mitochondrial dysfunction in muscle caused by CoQ10 deficiency. In a new study published in Neuroendocrinology Letters, researchers analyzed the effect of coenzyme Q10 supplementation in patients with statin myopathy. The study included 28 adults with an average age of 60 years old that were treated with different types and doses of statins. Researchers monitored muscle weakness and pain using a scale of one to ten. Analysis of muscle problems was performed at baseline and at 3 and 6 months after administration of CoQ10. Serum levels of CoQ10 increased in the subjects by more than 194% during the study period. At six months of CoQ10 supplementation, pain decreased on the average of 53.8% and muscle weakness by 44.4%. In this study of patients with myopathy, 6 months of CoQ10 supplementation significantly reduced muscle pain and sensitivity. Although this was a relatively small study, the results are similar to a previous study of statin-associated myopathy patients that showed a 40% decrease in pain severity and a 38% reduction in pain interference with daily activities among those taking 100 mg of CoQ10 for 30 days. Although the connection between CoQ10 levels and statin-related myopathy is not conclusive, discussing the potential benefits of CoQ10 supplementation with a physician while on statin therapy may be advisable. SALT LAKE CITY, Dec. 18, 2012 /PRNewswire/ -- USANA Health Sciences, Inc. (NYSE: USNA), a global nutritional company, today announced that it has signed U.S. Ski and Snowboard Association (USSA) athletes as its newest brand ambassadors: freeskier Grete Eliassen and Nordic combined skiers Billy Demong, Bryan Fletcher and Taylor Fletcher. The company provides nutritional supplements to more than 600 elite athletes worldwide and is the Official Health Supplement Supplier of the USSA. Recently named to the 2013 U.S. Freeskiing Slopestyle Pro Team, Eliassen has quickly become one of today's best all-around skiers. In seven years, the adrenaline-charged athlete has secured four U.S. Open titles, six Winter X Game medals and has set a world record hip air by soaring more than 31 feet into the sky. Eliassen, who recently graduated from the University of Utah, will next hit the slopes January 9 for the U.S. Grand Prix in Copper Mountain, Colorado. 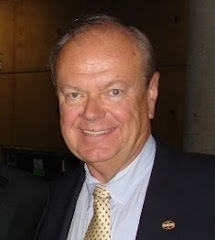 "USANA is considered to be the best in their industry and I am honored to able to represent them as one of their ambassadors," said Eliassen. "Thanks to their amazing products, I feel really good and am excited to see what the season has in store for me." Known for his determination and commitment to the sport, Demong has earned 21 World Cup podiums, including nine wins, and eight U.S. Championship titles during his 13-year career. The four-time Winter Games participant became the first American to win Olympic gold in a Nordic event at the Vancouver Games, and has secured World Championship titles alongside team members, Bryan and Taylor Fletcher. 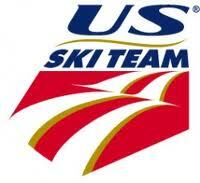 All three of the elite skiers were recently named to the 2013 U.S. Nordic Combined Ski Team—A Team and will compete January 5 at the FIS Nordic World Cup in Schonach, Germany. "It's reassuring to know that I can count on USANA to provide me with the high-quality nutritional products my body needs and know that I don't have to worry about testing positive for any banned substances," said Demong. "With Sochi just over a year away, I need to be able to compete and feel my best, and I know with USANA's support I will achieve those goals." USANA continues to provide its NSF and HFL-tested nutritional supplements to more than 600 elite athletes worldwide and insures its products with a million-dollar Athlete Guarantee. 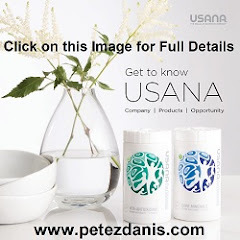 Founded in 1992, USANA Health Sciences (NYSE: USNA) is a U.S.-based nutritional company that manufactures high-quality supplements and personal care, energy, and weight-management products in their FDA-registered facility in Salt Lake City, Utah. USANA's products, tested by NSF International and used by more than 600 professional athletes, are developed by the company's award-winning team of scientists and sold directly to Preferred Customers and Associates in 18 international markets. Named one of Outside magazine's "Best Places to Work" for four consecutive years, USANA has received more than 100 state, national and international accolades, including Utah Best of State, Stevie Awards, Australian Business Awards, NutriSearch Editor's Choice and others. Learn more about USANA (www.USANA.com) and the USANA True Health Foundation (www.USANAfoundation.org/), stay current with the official USANA blog (www.whatsupUSANA.com), like us on the USANA Facebook page (www.facebook.com/USANAhealthsciences), or follow USANA on Twitter (@USANAinc).